I’ve been reading YA fiction, in some form, since elementary school. As I reached age 20, I began closet-reading it, because I figured I was “too old” for the stuff. However, at some point in my early 20’s, I realized it was actually okay for adults to read YA novels, and, in fact, many people were doing exactly the same thing. As a result, I’ve shamelessly devoured these juicy literary concoctions ever since. When I was growing up, I wrote voraciously, illustrating my stories and stapling them together into “books.” The heroines were always exactly my age, perhaps a year or two older. But when I reached my twenties, I found that I no longer wrote about people “just my age.” While I grew older, my heroines stayed in the YA age group. I always thought this phenomenon occurred simply because I loved my teen years and found the activities, interpersonal relationships, and daily dramas to be so vivid and ripe with storyline possibilities. But I’ve realized that there’s another factor at play as well: I am what I read. It’s a well-known fact that writers are a product of not only their training, but what kind of literature they prefer to read. In essence, we are what we read. That’s why one writer can incorporate such an eclectic mix of elements into his or her fiction. It’s also why certain authors in the paranormal genres mix some contemporary elements with others that are pure magic. We learn by reading, and the things we read show up in our writing…sometimes entirely unbeknownst to us! 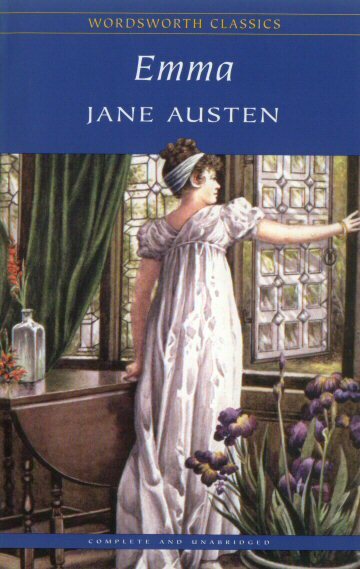 I adore contemporary YA fiction, but I also frequently indulge in the classics, especially the literature of Jane Austen. Emma is one of my favorite books, and the movie Clueless, which was based on Emma’s classic storyline, was a fave of mine growing up. That’s why I was blown away when my writing instructor, MG and YA author Nancy Butts, told me that Aubree, the heroine in my upcoming novel, reminded her of a Jane Austen character with her relentless honesty and endearing blind spots, and that I reminded her of Jane Austen in the ability to capture the dynamics of a “small, encapsulated society such as high school.” I’d never realized I incorporated these elements into my writing. Yet, because of what I read, they showed up. I subconsciously incorporated elements of Jane Austen’s beloved classic, Emma, into my upcoming novel…because I am what I read! Writers out there, how are you what you read? Who are some of the most influential authors you’ve read, and how have elements of their writing shown up in yours?